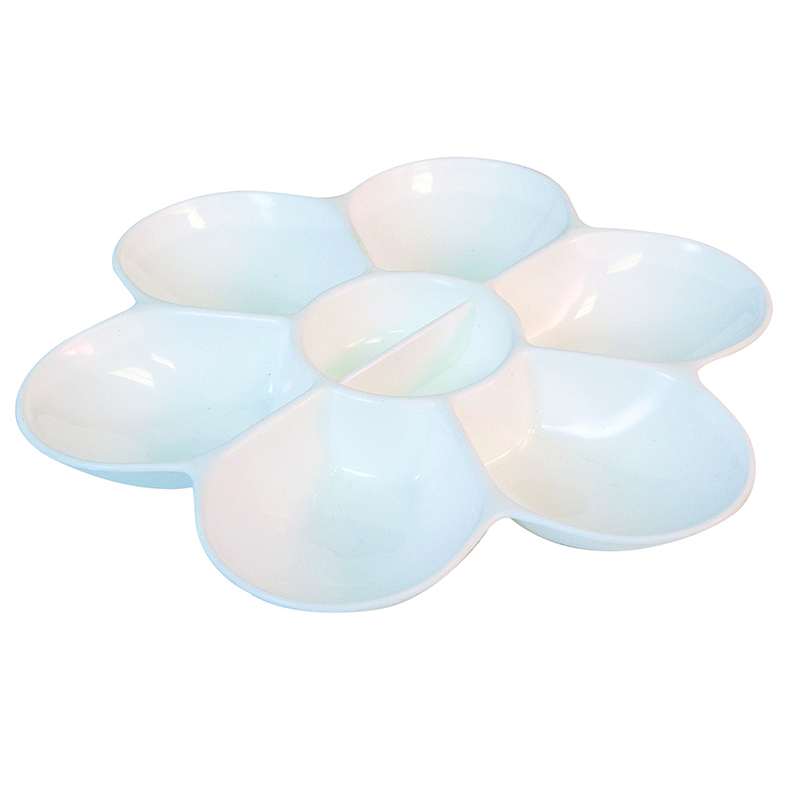 This "Patented" design is exclusively from Sargent Art. 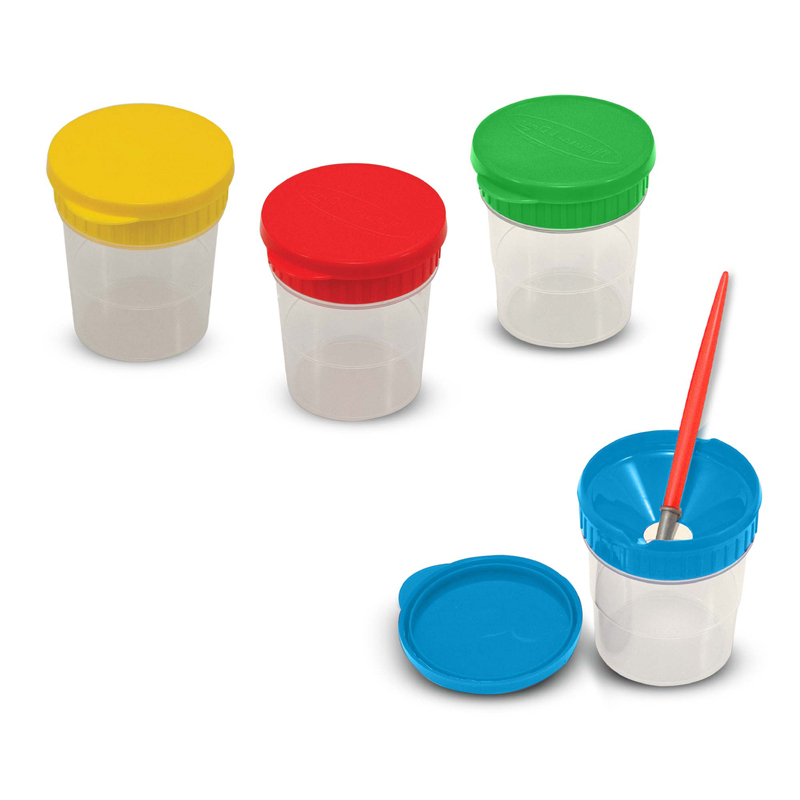 · Easy-open, tab lid never detaches. Includes locking clasp. 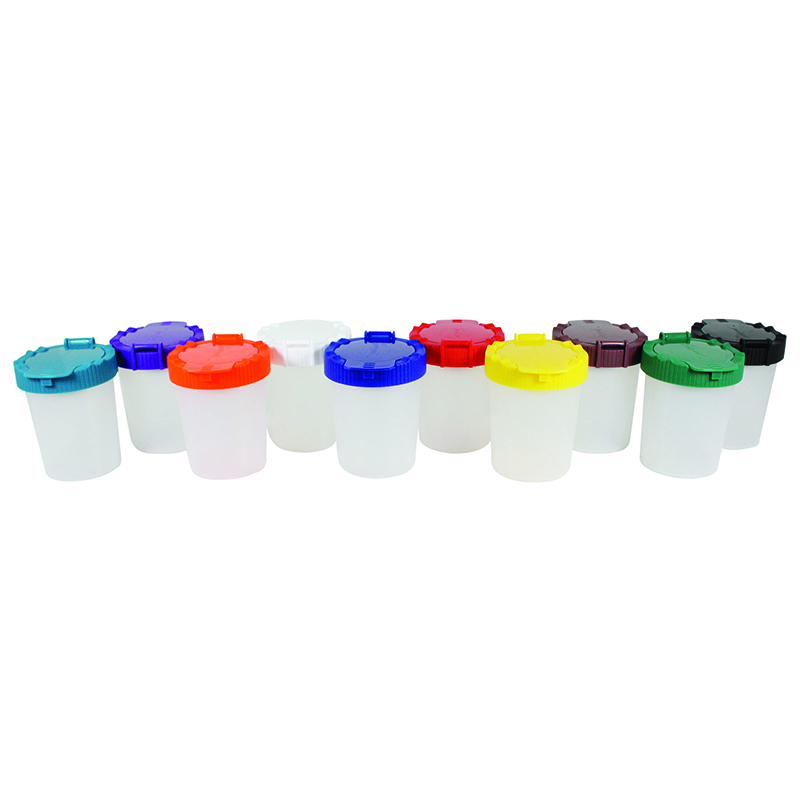 · Twist-off grooved rim cap for easy spill-free refilling. 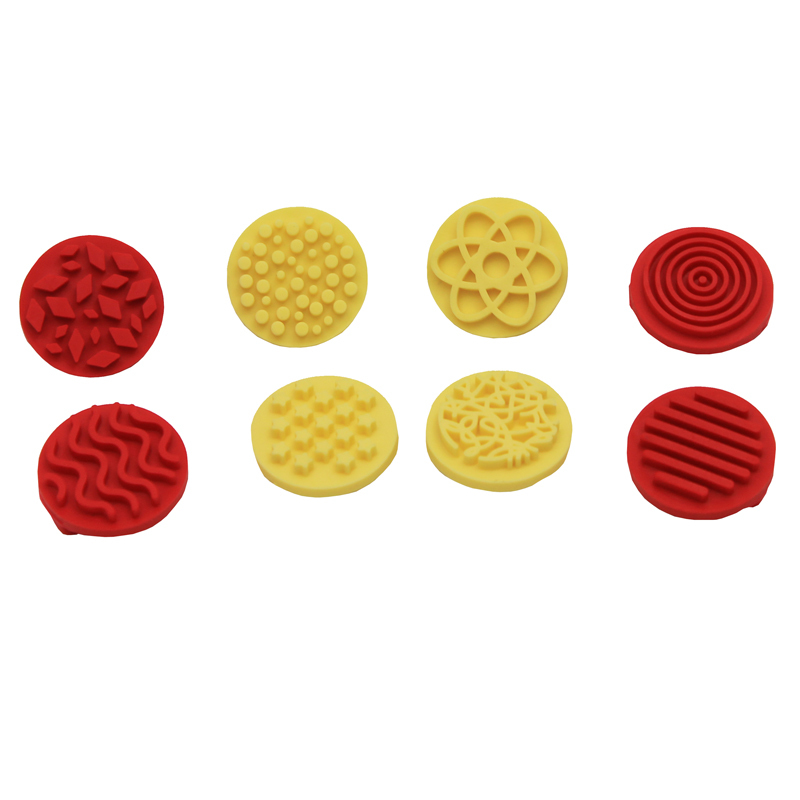 · Inner rim seal recycles moisture & prevents evaporation. 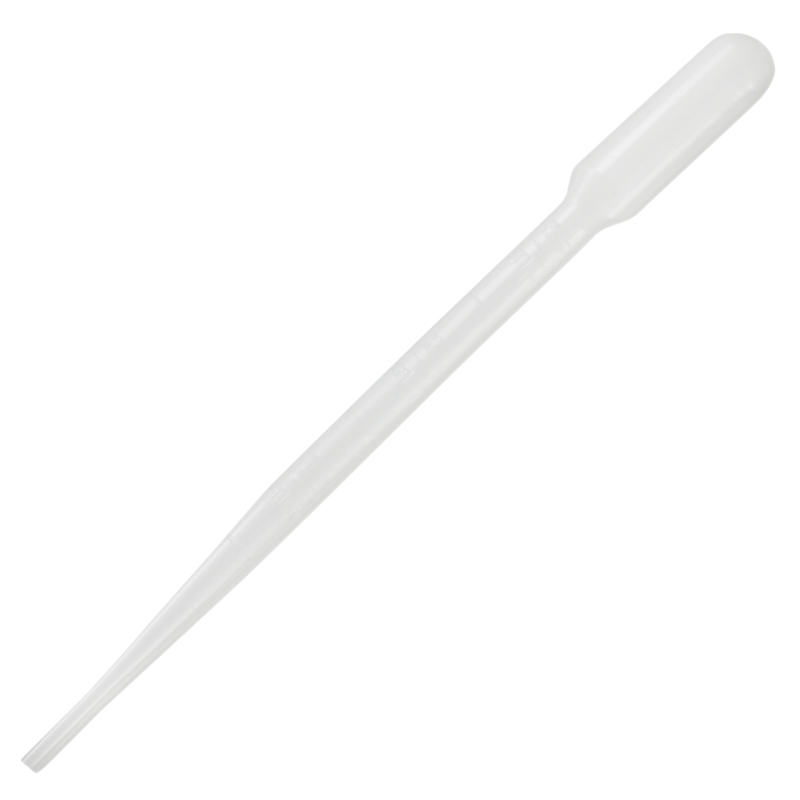 · Dual brush holders & fill line indicator clearly marked. 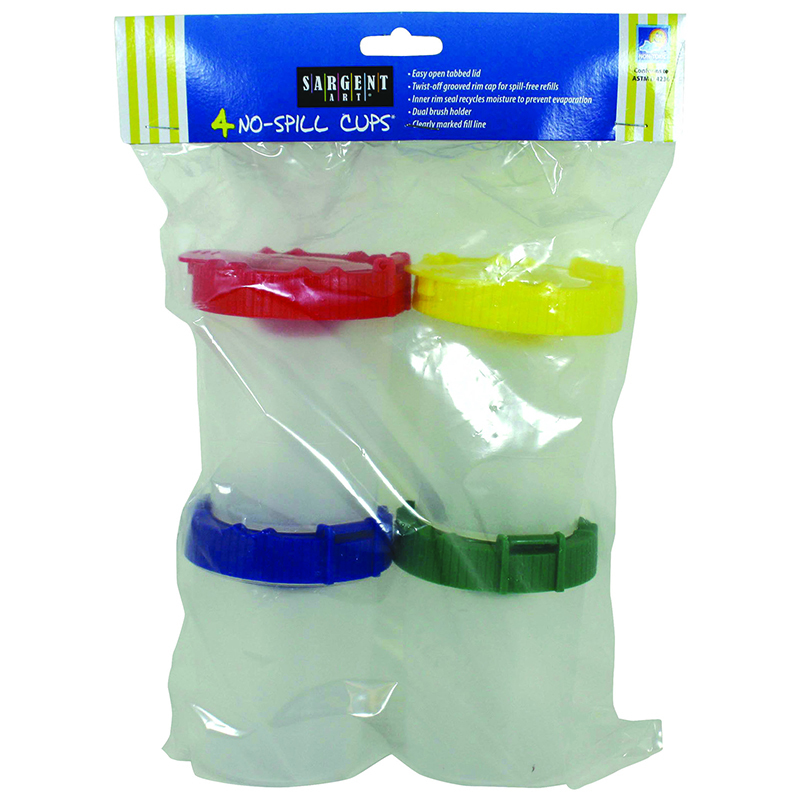 The 4pk No Spill Cups W/ Poly Bag can be found in our Paint Accessories product category within the Arts & Crafts.